There’s a wealth of experience underpinning this novel, and that sets it on very firm foundations. June Wright showed a talent for writing at a very young age; she worked for a while as a telephonist at the Central Telephone Exchange in Melbourne; and she wrote this, a first novel, when she was a young mother at home with her first baby. It was a critical and a commercial success, as were subsequent books, but in time they fell out of print. I’m so glad that a smart new reprint caught my eye just in time for Australian Reading Month. Late one night, after an evening shift, Maggie and her colleague and close friend, Mac, find a body in the rest room. Their monitor, Sarah Crompton, had been murdered. She was a manipulative and meddlesome woman, and there was no lack of suspects. Maggie had seen someone pass Crompton a note earlier that day, and she has seen that the note profoundly disturbed her, but she hadn’t seen who had passed that note and she didn’t know what it had said or where it had gone. She was sure that she had seen something else too, something significant, but she couldn’t remember what it was. The atmosphere at the telephone exchange changed, of course it did, and Maggie saw many signs that the murderer was not far away. Keys were not where they were supposed to be, someone was interfering with staff lockers; and certain of her colleagues seemed more than a little distracted. It seemed though that the motive for the murder lay in the past: letters from twenty years earlier, when Crompton was a young telephonist, indicated that she had been involved in a scandal and that there would be lasting resentments. The police were working hard on the case, but Maggie was aware that they didn’t have all of the facts. There were things that her friends had told her that they weren’t telling the police. And so she decided to do some investigating herself, with the help of her colleague and sometime romantic interest, Clark. I liked Maggie. She was confident, she was opinionated, she was professional, she was loyal to her friends, and those friends knew that they could count on her to be honest and straightforward with them. I hoped that she would find the answers that she was looking for, but I feared that she would run into trouble. 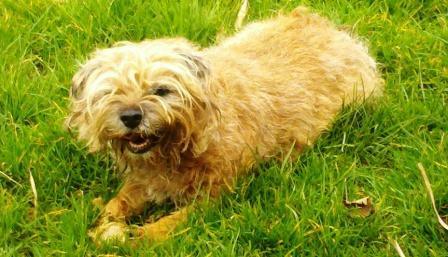 She found that the police were keeping a close eye on her. And that maybe the murderer was too. There would be two more deaths. June Wright constructed a very good story of suspense; she doesn’t play entirely fair, withholding significant information from the reader and playing fast and loose with police procedure, but it works well enough. It works because the time and place, the people and relationships are so very well drawn. As she tells her story June Wright illuminates the lives of the telephonists, the work that they do and the lives that they lead. 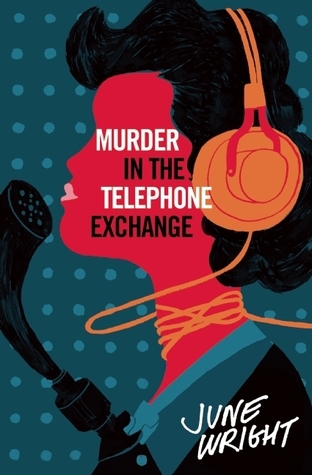 She brings the telephone exchange to life, and she uses her knowledge of the telephonists’ work, of the hierarchy of the telephone exchange, and of the procedures that they must follow to excellent effect as she tells her story. The social history is every bit as interesting as the mystery. It works because the characterisation is right, the narrative voice is right, and the atmosphere is pitch perfect. I was particularly taken with Maggie’s landlady; and with the skill of the telephonists as they worked their boards and dealt with their callers. I worked out who the murderer must be; and why the spirited Maggie Byrnes who set out to solve the mystery became the troubled woman who set down her account of events; but still I wanted to follow the story to the end, to learn all of the details and to learn exactly how events played out. The pace had been steady – and there were times when the book could have easily stood a little more editing – but the ending was wonderfully dramatic. 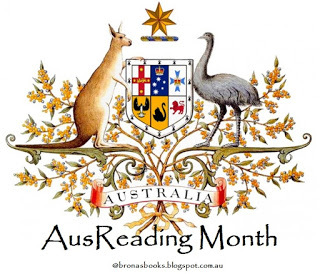 I love how I discover new books and new Aussie authors that I have never heard of before during November. I had to google Wright to find out more – she wrote six crime books altogether during the the 1940’s-60’s and died at the age of 92 in 2012. Australian publishers do seem to be going through a renaissance of our early Australian authors – I wonder who they will ‘unearth’ next? I love the sound of this one – I had friends who were telephonists in the 80’s in Sydney. Apparently her second book was also about Maggie and John – So Bad A Death. My aunt was a telephonist in the 1980s too, and that’s why the book caught my eye. I’ll be looking out for Gillian Wright’s other books, and keeping an eye on the publisher that reissued this book. I thought the setting was so interesting, unlike anything I had read before, but the story itself didn’t engage me quite as much. Yes, my feeling way that the other elements of the story helped to hold my interest, and without them I would have been more disappointed with weaknesses of the mystery plot. Thank you. I hope you’ll find a copy and enjoy it. I ordered this book–it sounds really good! My MIL was Australian and I enjoy reading and tv from there. Thanks for the review! Excellent – I hope you’ll enjoy the story and the picture of the lives of working women in 1940s Australia. What a wonderful find – the social history aspect would sell it to me! The social history side of the story who were wonderful, and I have so much respect for the telephonists and the job they did. This is the kind of book I would enjoy and you make it tentalizing! I have not been much reading posts and blogs these past days with what happened at home, in France. Sorry. But I am trying to read what I had left before, uring and a little after the Paris events. I cannot read much these days: I would need a book like this one!! !